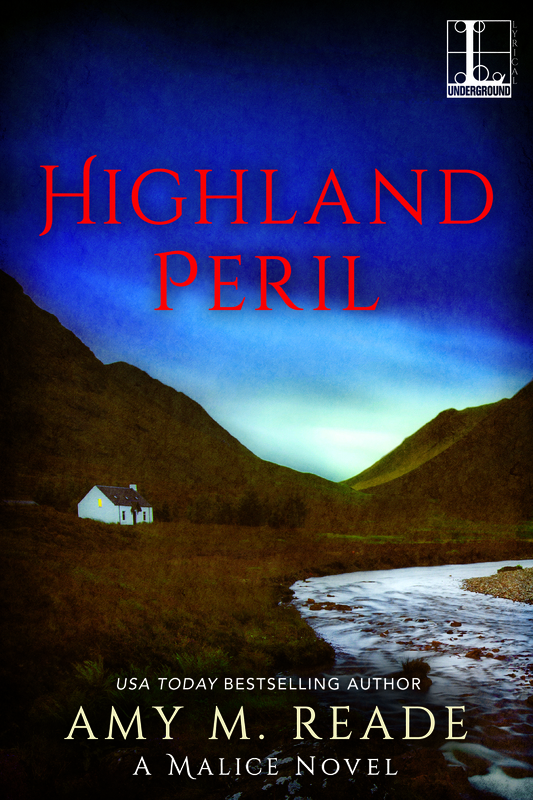 There are twists and turns and secret connections that you don’t see coming in Highland Peril that make it a breathless adventure. Trading the urban pace of Edinburgh for a tiny village overlooking a breathtaking blue loch was a great move for budding photographer Sylvie Carmichael and her artist husband, Seamus—until a dangerous crime obscures the view . . .
Sylvie’s bucolic life along the heather-covered moors of the Highlands is a world away from the hectic energy of the city. But then a London buyer is killed after purchasing a long-lost Scottish masterpiece from Seamus’s gallery—and the painting vanishes. As suspicion clouds their new life, and their relationship, Sylvie’s search for answers plunges her into an unsolved mystery dating back to Cromwellian Scotland through World War I and beyond. And as she moves closer to the truth, Sylvie is targeted by a murderer who’s after a treasure within a treasure that could rewrite history . . . and her own future. Amy M. Reade is a cook, chauffeur, household CEO, doctor, laundress, maid, psychiatrist, warden, seer, teacher, and pet whisperer. In other words, a wife, mother, and recovering attorney. But she also writes (how could she not write with that last name?) 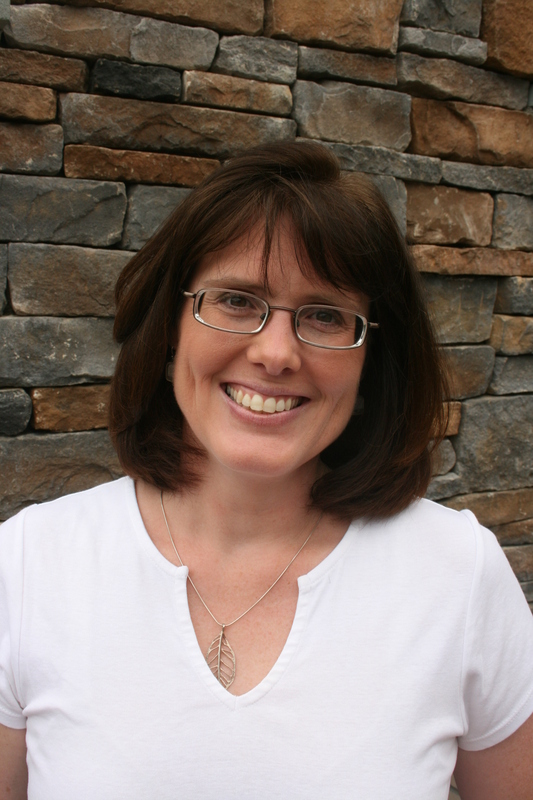 and is the author of The Malice Series (The House on Candlewick Lane, Highland Peril, and Murder in Thistlecross) and three standalone books, Secrets of Hallstead House, The Ghosts of Peppernell Manor, and House of the Hanging Jade. She lives in southern New Jersey, but loves to travel. 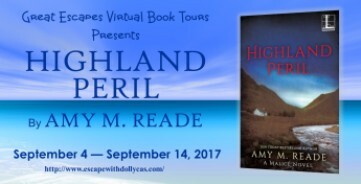 Her favorite places to visit are Scotland and Hawaii and when she can’t travel she loves to read books set in far-flung locations. The quiet life in the country. Or not! Thanks for the spotlight. 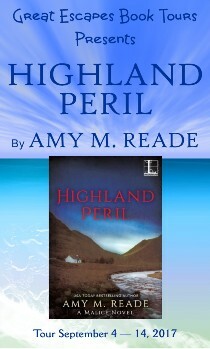 I can’t wait to read Highland Peril. Really enjoyed the description of the book. Sounds like a great read. I like the historical aspect of this story.